English legendary music producer Trevor Horn gives an amazing THREE HOUR video interview with Red Bull Music Academy, going through his whole career in fascinating detail. This talk is a must-see for anyone interested in how fantastic pop music is/was made, and is split up - watch part 1 and part 2. Horn is famous for producing e.g. Frankie Goes To Hollywood, Art Of Noise, The Buggles, Grace Jones, Yes and many more, plus owning ZTT Records. Here is a one hour "best of" of the chat, if you don't have more time. 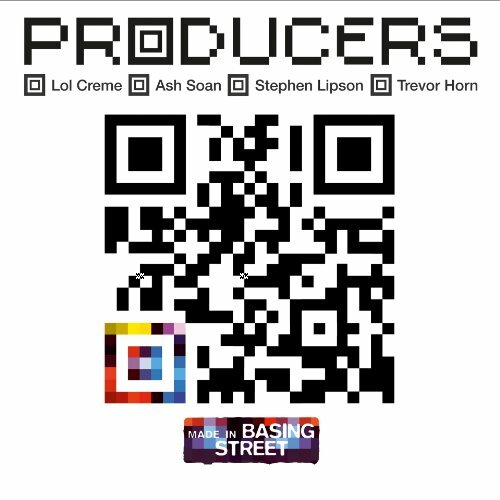 Here is a new interview in The Telegraph with Horn's band The Producers (with colleagues Lol Creme and Stephen Lipson) about their new album "Made In Basing Street". Buy the 2CD deluxe edition from Amazon UK, the digital download from Amazon UK, or the standard CD (import) from Amazon US. And here are a dozen videos (by Holy Moly!) featuring The Producers talking about their new album.